What a fantastic gift from Clarins. 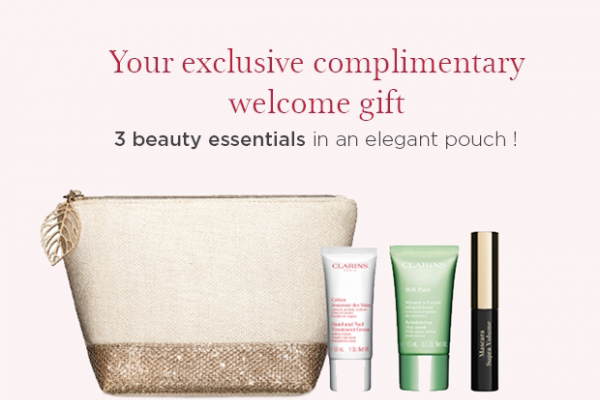 Get 3 of their beauty essentials together in an elegant pouch. Just register with them to take advantage of this amazing offer to get your hands on 3 of their most popular products. Make sure you don't miss this great offer when you spend £50 in their online store. Clarins are giving away loads of great freebies including 3 free samples. Just sign up and check out the deals and offers they have waiting. Here's a great treat from Clarins to get you through the weekend. Don't miss out!